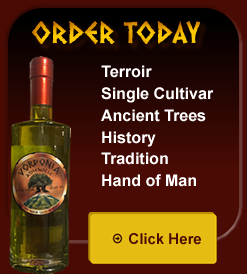 Most consumers will be surprised to learn that, in the United States labeling is voluntary; Almost all olive oil labeled extra virgin in the United States is above the European standard of .1% acidity, and most are pomace oils (only for industrial use), these oils are shipped to the States, refined, blended, bottled and sold as extra virgin. 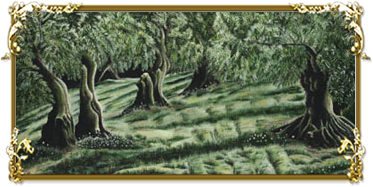 A misrepresentation; Olive oil labeled first cold pressing or cold pressed, refers only to the fact that olives are a winter fruit, harvested and washed with cold water before pressing. Afraid of winter frost, most producers will harvest months earlier in the season, not allowing their olives to mature and ripen. Another technique adopted by many Artisinal olive oil producers is genetic engineering; Pushing the olive trees to produce olives in the warmer months (August-September-October) to avoid the risk of a winter frost ruining the olive harvests. The Olive Oil Scandal by Raymond Francis…. The problem is that most of the olive oil on the market does not duplicate what our ancestors were eating, and people are not getting what they think they are buying. The Olive Oil Seems Fine. Whether It’s Italian Is The Issue. These stories should concern all consumers who want the very best that money can buy. 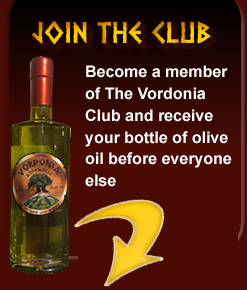 Vordonia Athenolia Extra Virgin Olive Oil is “The Naked Taste of Olives” The wisest choice for the health-conscious consumer.